Palgrave Macmillan, 2015. Paperback 2017. 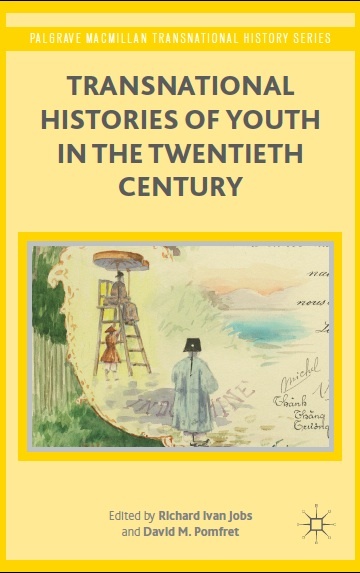 Transnational Histories of Youth in the Twentieth Century examines the emergence of youth and young people as a central historical force in the global history of the twentieth century. Each of the chapters considers the activities of young people from a transnational perspective, emphasizing their agency in the development of global interconnectedness by focusing on a variety of case studies that emphasize topics and regions that too often remain unconsidered. From backpacking in Europe to political activism in Africa, from Malaysian scouting for girls to Franco-Maghribi music, from Argentine Zionism to the Chinese revolution, the local practices and behaviors of the young engaged with the world. This collection is unique in that it analyzes not only the effect of transnationality on youth but also how youth shaped transnationality. It reveals the activities, mobilities, and identities of the young to be a central component of globalization.